Agile Prague 2019 Conference Registration will be open in March. 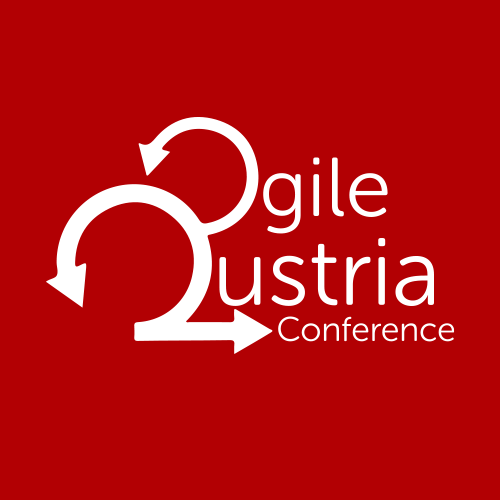 For any updates, follow our twitter @AgilePrague. 2-days conference registration plus Certified LeSS Practitioner training. We have combos with books as well - conference plus "Agilni metody rizeni projektu" or "The Great ScrumMaster: #ScrumMasterWay". Early bird registration until July 30, 2019.
and get free 2 days conference registration. The capacity is limited! Conference registration 2-days & book "The Great ScrumMaster"
Including the new book "The Great ScrumMaster: #ScrumMasterWay by Zuzi Sochova"
The Great ScrumMaster - #ScrumMasterWay is a guidebook for all ScrumMasters, Agile coaches and leaders who want to transform their organizations. Conference registration 2-days & book "Skvělý ScrumMaster"
Including new book "Skvělý ScrumMaster"
Buy A-CSM - Certified Scrum Master class and get 2 days conference registration for an early-bird price. The capacity is limited! Buy one-day workshop from Jurgen De Smet: Certified LeSS Practitioner: Principles to Practices (Nov 6-8, 2019) and get free 2 days conference registration. The capacity is limited! - The administrator received the personal data of the data subject in the form of name, surname, e-mail, as part of the ordering process from the service provider (the employer). - The data of the Data subject's personal data is a legitimate interest of the Administrator in order to provide the Data subject with information on the realization and course of the ordered service, or any sudden changes. - Personal data of the data subject will be processed before and after the duration of the service for the purpose of its organization and implementation. Upon termination of the service, the data subject's personal data will be retained by the trustee for 36 months without further processing. - The Personal Data of the Data subject may be provided to the Processor (s) chosen by the Administrator for the purpose of properly securing the execution of the Service and to the persons who provide legal and accounting services to the Administrators in order to ensure the proper fulfillment of the obligations stipulated by generally binding legal regulations. - Automated decision making and profiling will not occur when processing the data subject's personal data. - In the case of "Interests", Administrator can use the data obtained for market offer services from the same area as the area of the ordered service. The services of Google and Mailchimp are used to make the offer. - The Administrator does not intend to transfer the personal data of the Data Entity to a third country, an international organization or other than the above third parties. - The Data Entity has the right to require the Administrator to access his or her personal data, correct or delete it, or limit the processing, and object to processing, has the right to transfer the data to another Administrator as well as the right to file a complaint with the Office for Personal Data Protection , if it considers that the Administrator is in breach of the Regulation in the processing of personal data.